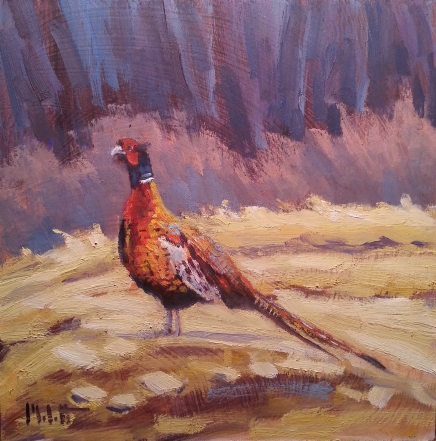 I have never painted a pheasant before. As I studied it with each stroke I am just amazed at the beauty. His plumage is breathtaking. He is complimented by the autumn color.